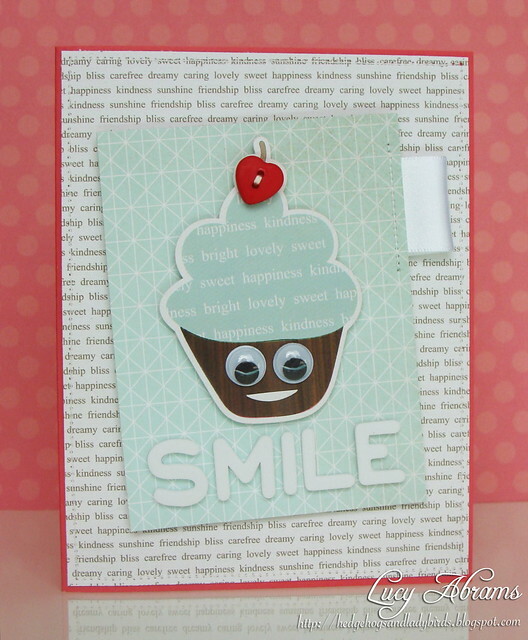 I have another wiggle eye card to share today, made with yummy sticker and paper from Echo Park's Sweet Day Collection. I added a hand cut mouth and little button for the cherry too. Squishy? Can't wait to see what that's all about! :) Love this darling card, Lucy! Absolutely Positively LOVE this card. ADORBS!